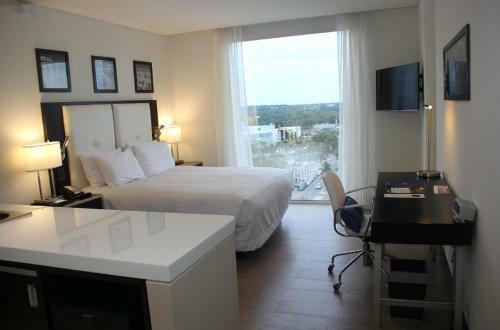 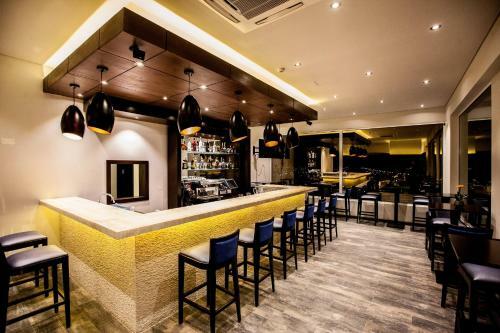 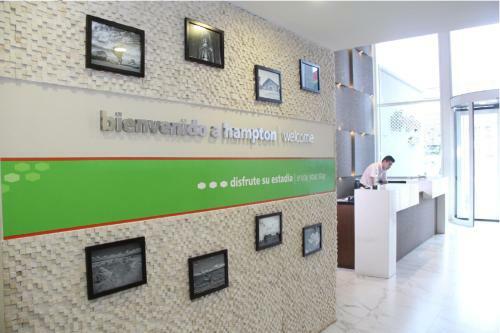 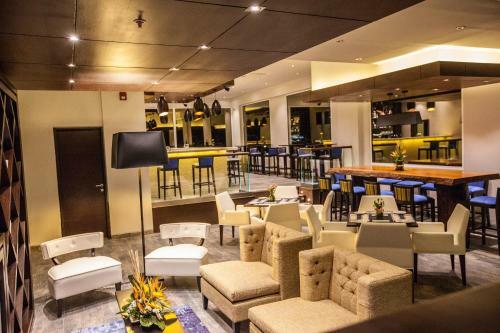 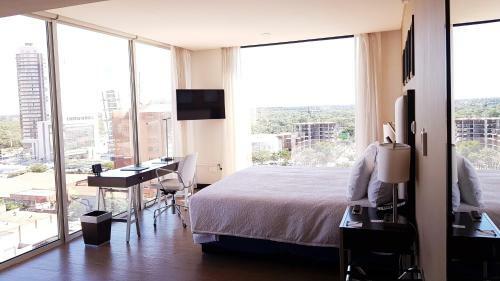 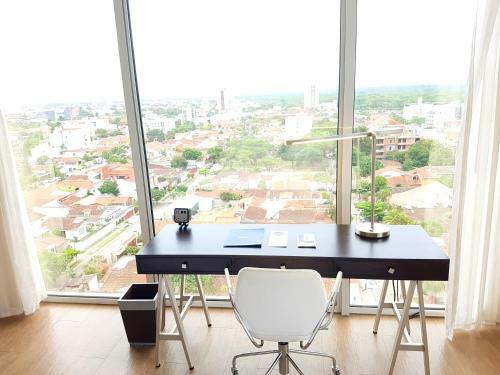 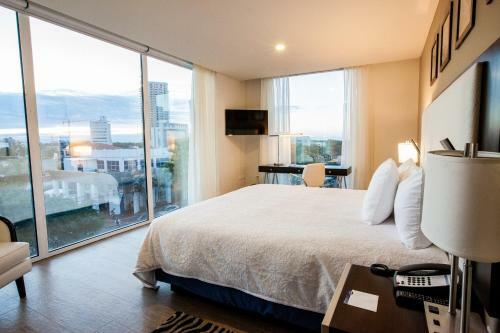 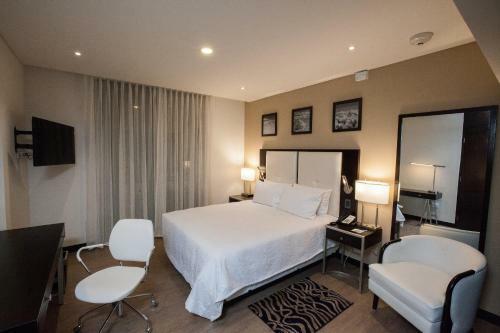 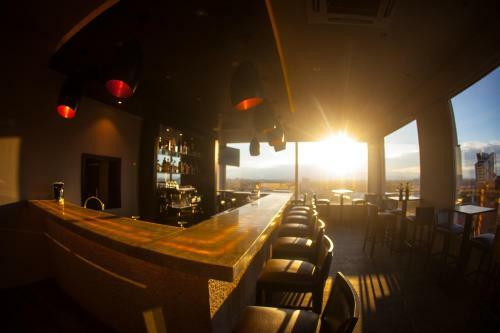 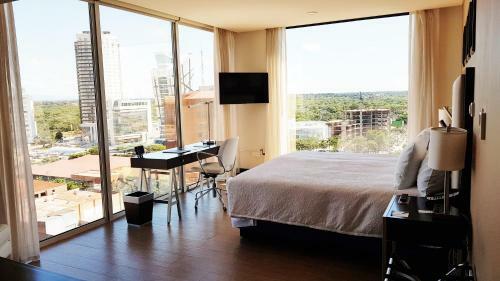 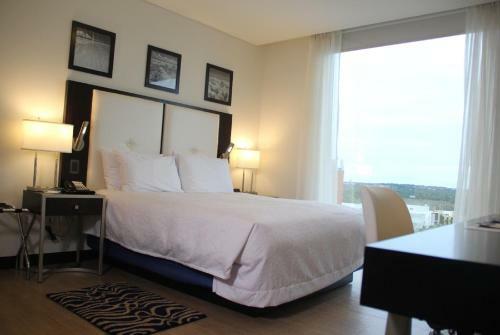 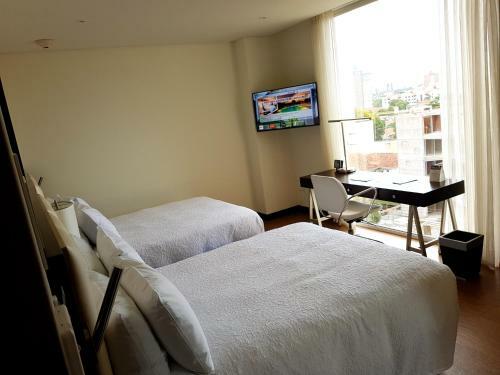 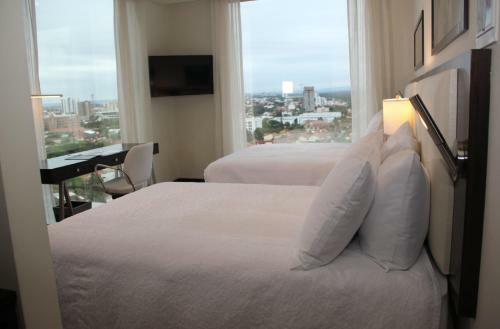 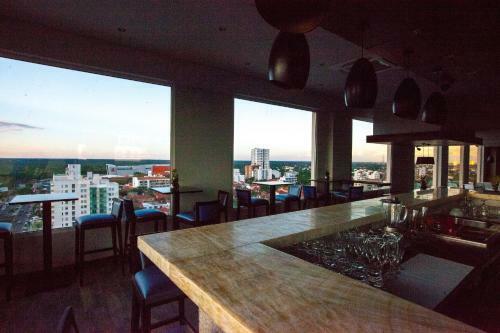 Situated in Santa Cruz de la Sierra, a 17-minute walk from Zoo Fauna Southamerica, Hampton by Hilton Santa Cruz has a fitness centre and a bar. 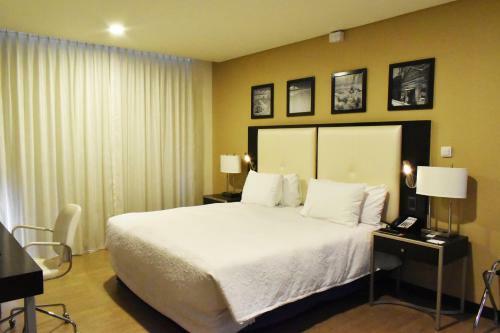 Located around 1.6 km from Gabriel Rene Moreno Autonomous University, the hotel is also 2.6 km away from Arenal Park. 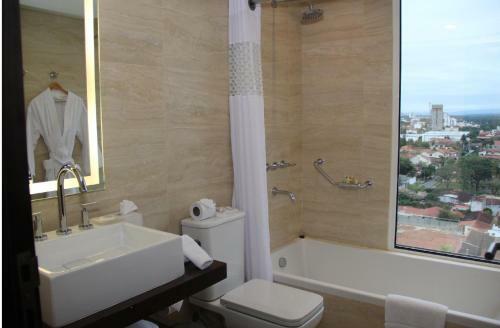 24th of September Metropolitan Plaza is 3 km away and Metropolitan Cathedral is 3 km from the hotel. 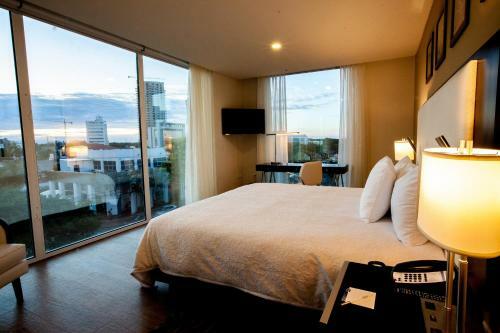 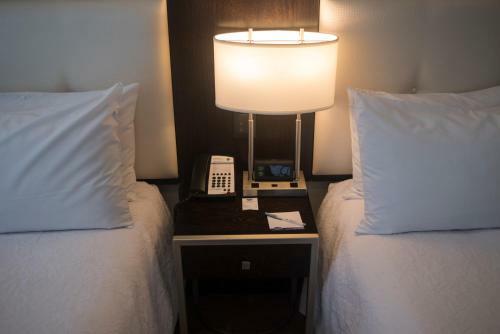 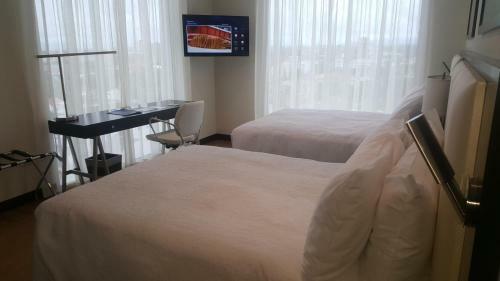 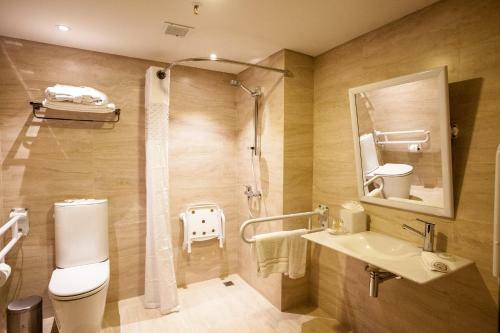 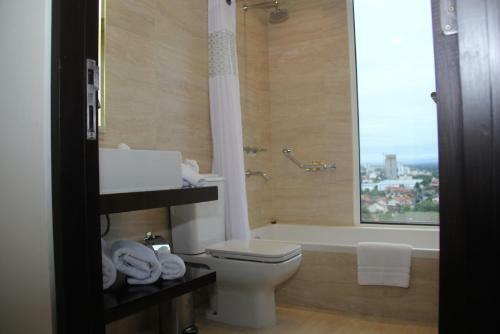 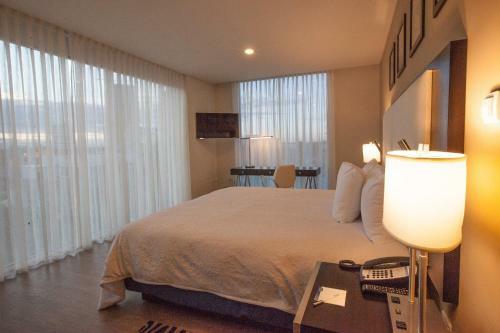 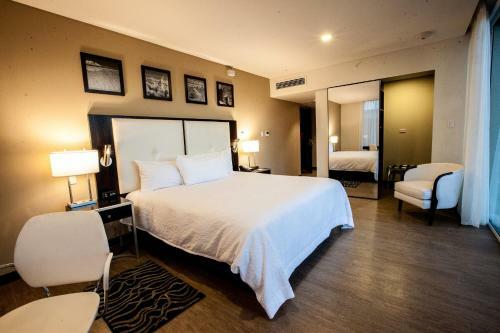 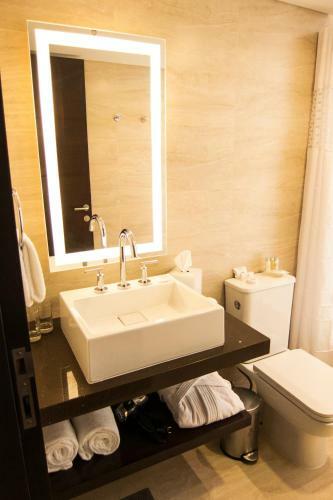 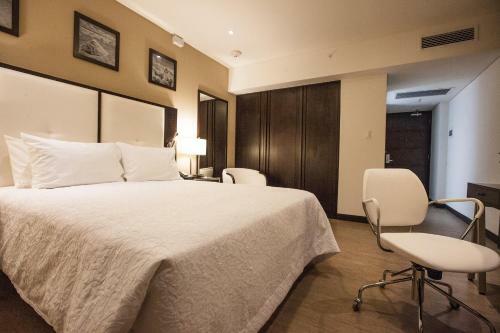 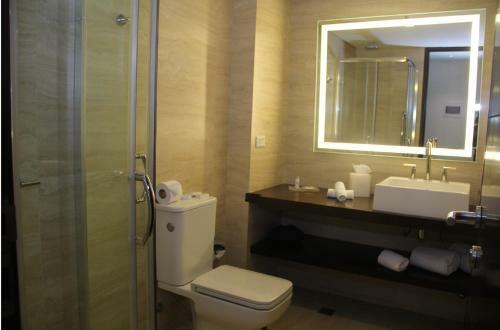 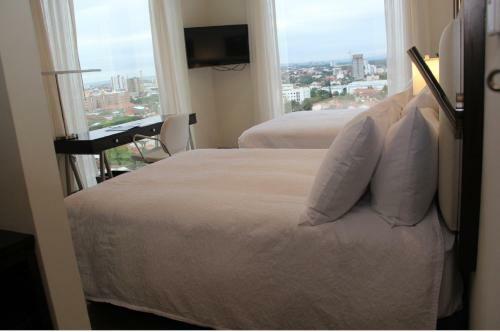 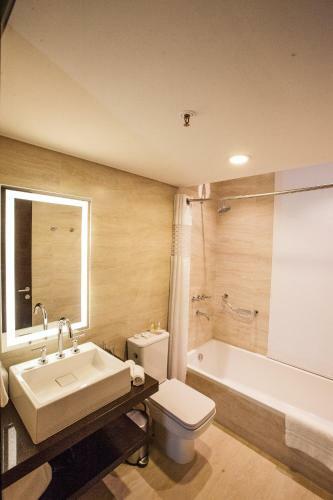 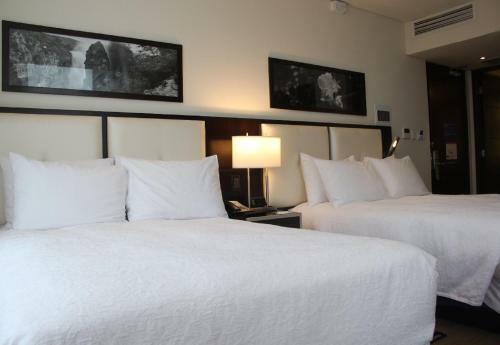 At the hotel, all rooms include a wardrobe, a flat-screen TV and a private bathroom. 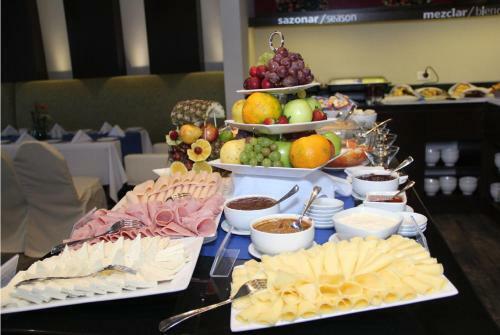 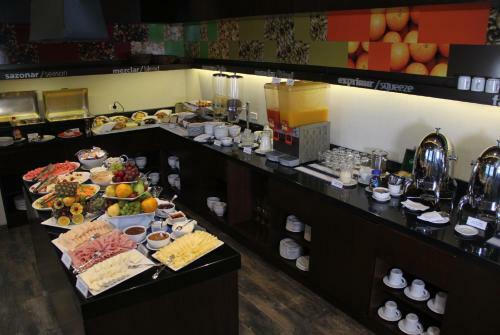 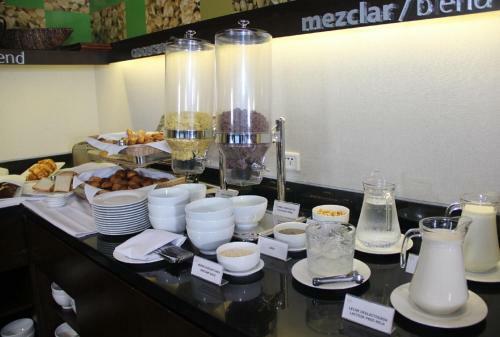 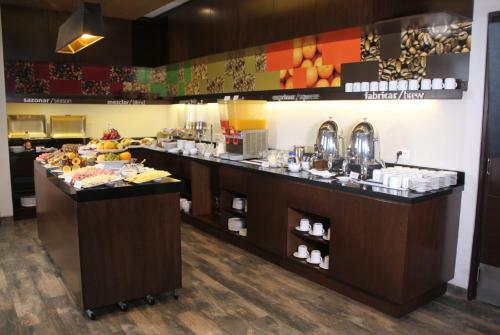 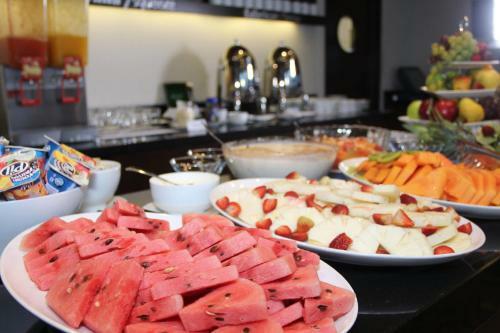 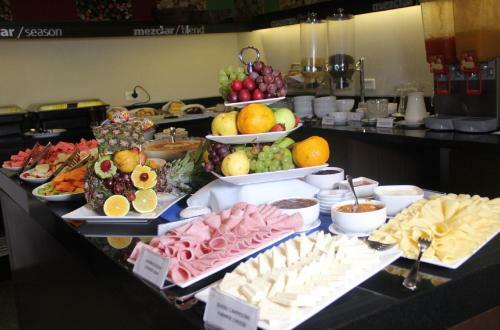 An American breakfast is available daily at Hampton by Hilton Santa Cruz. 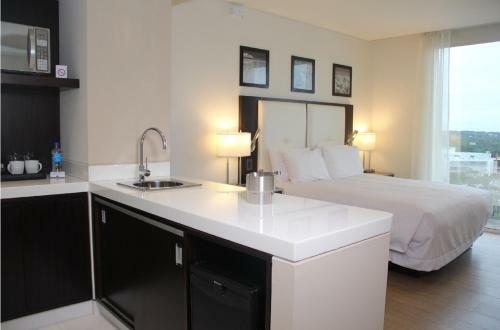 Other services and facilities offered at the accommodation include a business centre, an ATM machine and newspapers. 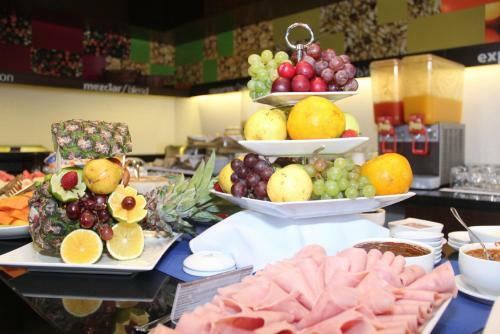 The reception can offer helpful tips for getting around the area. 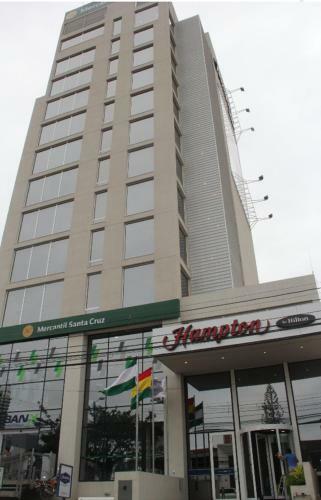 Sacred Art Museum is 3.2 km from Hampton by Hilton Santa Cruz, while Güembé Biocentre and Guazú Ivaga Park is 3.7 km away. 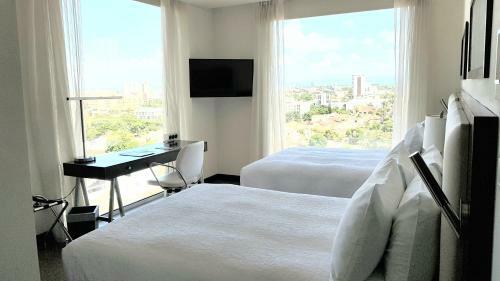 The nearest airport is Viru Viru International Airport, 14 km from the property. 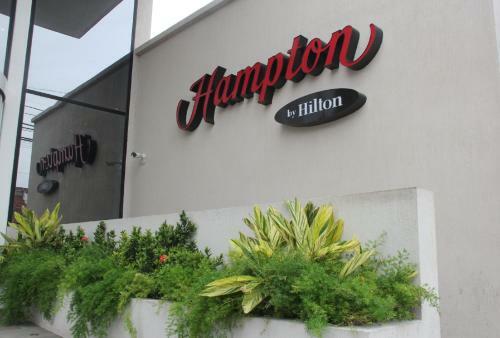 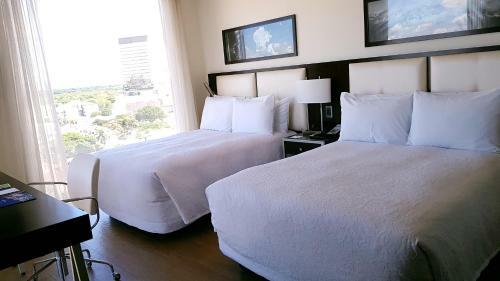 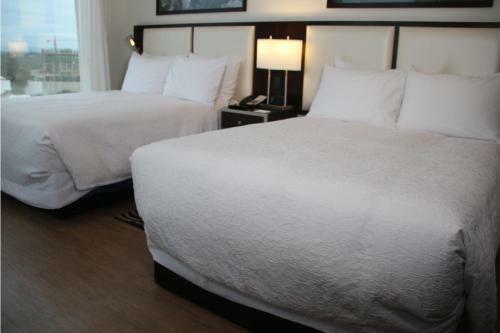 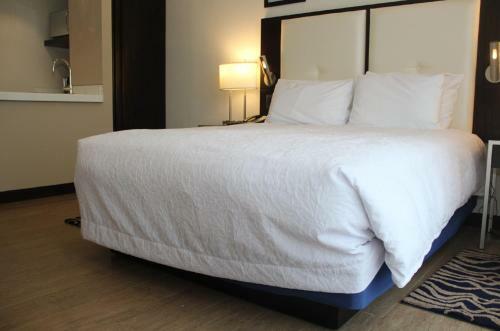 the hotel Hampton by Hilton Santa Cruz so we can give you detailed rates for the rooms in the desired period.